June 13th- Female world title double! The month of June has been relatively busy with low key action so far. That action continues this coming Monday in what looks set to be a brilliant card at the Korakuen Hall. The main event of the card is one of two world title fights, and sees WBO female Bantamweight queen Naoko Fujioka (14-1,6) defending her title against compatriot Shindo Go (16-3, 11), in what is expected to be Go's final fight before she transitions to becoming a man later in the year. The bout should be a really good one and should be one of the most well matched bouts at the top level of female boxing. The other world title bout will see WBO Atomweight champion Nao Ikeyama (17-3-1, 4) defending her title against the under-rated Saemi Hanagata (12-6-2, 6), in what should be a thrilling contest. At 46 Ikeyama knows a loss could be the end of her career, whilst Hanagata will see this as her best chance to win a world title. The bout isn't on the same level as the main event but is a great match up and could be, stylistically at least, a thriller. In a supporting bout Takafumi Nakajima (25-7-1, 10) will be facing Jonathan Baat (30-7-5, 14), in what looks like an absolute corker between two genuine veterans. Baat is the more proven fighter however at 35 years old he may be coming to the end, and is win-less in his last 3 bouts, whilst Nakajima has won his last 3 and is looking like a genuinely hungry 31 year old. Another good looking supporting bout sees the once touted Naoto Uebayashi (9-1-1, 5) battle against Mikihito Seto (34-12-3. 19). Uebayashi was tipped for big then when he turned professional a few years ago, following a very successful career in the amateurs, but problems with durability has seen him struggle to make a good run in the professional ranks. Seto, a genuine veteran at 36, has won just twice in his last 6 bouts but should prove to be a good test for Uebayashi, who really cannot afford another slip up. One final bout of note will see the exciting Akihiro Kondo (24-6-1, 11) battle against Tanva Malihom (0-1) in a stay busy bout. December 5th-Hectic day with prospect, contenders and more! The first really notable day of the month for Japanese fans comes on December 5th, a really busy day with name fighters in action across Asia. In one of the most intriguing bouts fans will get the chance to see former OPBF Bantamweight champion Yu Kawaguchi (23-7, 10) battle against Keisuke Tabuchi (9-3-2, 7), in what is essentially a must win for Kawaguchi. The 28 year old former champion was stopped last time out against Takahiro Yamamoto, in a genuinely enthralling 7 round brawl, and will know that any except for a stellar performance here would leave his career in tatters. As for Tabuchi he's lost 2 of his last 3, though they have come in the 2014 Rookie of the Year and a 8 round loss to former world title challenger Hiroyuki Hisataka. Hard to see Kawaguchi losing, but if he does he will have to consider his future. Whilst Kawaguchi is fighting for his career it's fair to say that Kazuki Tanaka (3-0, 3) is merely fighting for recognition. The talented youngster, a former amateur stand out, takes a huge step up in class as he takes on GAB Bantamweight champion Monico Laurente (27-12, 6). Those in the know have suggested that Tanaka, 22, could be another of Japan's huge list of future stars however the youngster has been relatively untested so far. In Laurente we'll see Tanaka face a man with experience, grit, determination and skills, and we'd be very impressed if the youngster can really dominate here in what is a great step up in class. Whilst Kawaguchi is a former OPBF champion we actually have a former world champion in action too as Shindo Go (15-3, 10), a former WBC female Flyweight champion, faces Suda Saknarong (0-0) in a stay busy bout. We're expect to see Go fight for a major title in 2016 however she's fighting this bout to shake off any ring rust after a frustrating year of inactivity, in fact she's only fought 3 rounds all year. Technically the main event here will see Japan's Takayuki Okumoto (15-6-2, 6) take on unbeaten Filipino teenager Romel Oliveros (6-0-1, 1). The bout certainly isn't the most exciting on paper but it seems likely that Okumoto could get a Japanese title fight next year if he comes through this one unscathed. The home fighter has won his last 5, since suffering a stoppage loss more than 2 years ago to Rusalee Samor, whilst the visitor will, perhaps tellingly, be facing his first opponent with a winning record. On a second Japanese card fans will again get a lot of good action, in fact the card is headlined by a 2-time world title challenger. That aforementioned world title challenger is Ryo Akaho (26-2-2, 18), who was last seen in the ring being stopped, for the first time, by Pungluang Sor Singyu in a bout for the WBO Bantamweight title. The former OPBF champion will be looking to score his second win over Toyoto Shiraishi (25-8-3, 12), who he stopped in their first meeting around 4 years ago. Since their first bout Akaho has had both of his world title tilts whilst Shiraishi has come up short in a pair of title fights, most notably a Japanese title fight against Teiru Kinoshita. This is likely to be another win for Akaho, though if it's not he will have to consider his future. In supporting bouts on this card we have a trio of Japanese ranked fighters. The highest ranked of those is Light Middleweight contender Yuto Shimizu (10-2-2, 3) who has been in great form recently, scoring wins over Toru Chiba, Takehiro Shimokawara and Yosuke Kirima. Shimizu looks to continue his current 7 fight winning run as he takes on the limited Maxi Nahak (4-10-2, 1), from Indonesia. It's really hard to see anything but a Shimizu win here, and hopefully he'll get a title shot in 2016. On paper the most attractive match up involving a ranked fighter, other than the main event where Shiraishi enters as a ranked fighter, comes at Super Flyweight where the JBC ranked Yuta Matsuo (8-2-1, 5) takes on southpaw Yota Hori (12-4-2, 7) in a really solid match up. Coming into this Matsuo is 3-2-1 in his last 6, though held his own in a split decision loss to Ardin Diale in one of those defeats. The other ranked fighter is Hironobu Matsunaga (7-1, 3), who us ranked at 147lbs. Matsunaga will be risking his ranking against Shiro Saito (7-5-2, 2). Matsunaga's most notable bout to date is his loss, which came in last year's Rookie of the Year final against Yuki Beppu, and whilst that was a blow out he's cetainly proven himself since with a very good win over Hisao Narita. Saito on the other hand has gone 2-3-1 in his last 6, and was last seen being stopped in 3 rounds by Moon Hyun Yun in a loss that may play on his mind coming into this one. In Thailand fans will have a chance to see Korean based Pakistani fighter Muhammad Waseem (1-0, 1) who will be up against Indonesian fighter Suparyanto Doglo (7-2-1, 4). Waseem, who won the Korean Super Flyweight title on his debut, will be looking to continue his perfect start to life as a professional and it seems likely that if he wins again here he could be moved into regional title fights in 2016, with the PABA title a very real target for 2016. We're unsure but we think the same card will feature two televised bout as well as the Waseem bout. One of those, set to be shown on Channel 7, will see Kwanpichit OnesongchaiGym (33-1-2, 18) defending his WBO Oriental Flyweight title against Julias Kisarawe (21-2, 11) in what looks to be a brilliant match up on paper, something we can't say often enough about Thailand. Sadly whilst the bout does “look” good it's likely to be a mismatch with Kisarawe's opposition so far being relatively appalling, in fact it sort of resembles a Thai record with very little experience share between his opponents. The other bout will see former world title challenger Chonlatarn Piriyapinyo (57-2, 38) battle against Nattapol Sithsaithong (0-2) in what appears to be little more than a stay busy fight for Chonlatarn, who won't be given a test here. To end the day our attention will turn to Mexico where Japan's Hurricane Futa (20-5-1, 11) faces off against former multi-weight world champion Jhonny Gonzalez (58-10, 49). This is a really tough ask for Futa though we'll be honest and say that Gonzalez did look really bad last time out, losing a decision to Jonathan Oquendo, and this may be the perfect time to face him. Although the month has started in exciting fashion with the shows the past few days, things really move up another gear on Sunday with a lot of interesting match ups, a number of notable names and a lot of action. The best of the action comes from Osaka, in fact 2 of the 3 Japanese shows come from the Bodymaker Colosseum in Osaka, whilst another is from the Sumiyoshi Ward Center in Osaka. One of those two cards is promoted by Shinsei is seen as a bit of stepping stone card in many ways. The main event on this card will see OPBF Lightweight champion Masayoshi Nakatani (9-0, 5) defending title against the horribly over-matched Accel Sumiyoshi (4-3-1, 1) in what appears to be a horrible mismatch. We like Nakatani, a lot, but can't really see the point in this bout for the champion who has already defended the title against better opponents than Sumiyoshi. For the challenger it's an opportunity to claim a title, but it's one we can't see him winning. Also on this card will be two world class female fighters in the form Shindo Go (14-3, 9) and Etsuko Tada (13-2-2, 3). These two will both be fighting over-matched Thai foes in what look stay busy bouts before they try to get themselves back to world level fights. The other Body maker Colosseum card is promoted by Green Tsuda and will also feature an OPBF title fight figh, as well as several other interesting bouts. The main event here will see the heavy handed Takahiro Yamamoto (15-3, 12) trading blows with Yu Kawaguchi (22-6, 10) in an OPBF Bantamweight title bout. On paper this looks really interesting and whilst we don't view either as being genuine “OPBF champion quality” they should make for a sensational fight and the winner will certainly be involved in at least one other big bout, especially when you consider how exciting the division is in Asia. Talking about how exciting the Bantamweight division is we need to note that a very special Bantamweight prospect will be on this card. That will be Kazuki Tanaka (1-0, 1) who battles the much more experienced Kaname Tabei (10-8-2, 7) in a 6 round bout. Tanaka is said to be one of the best prospects in Japan and although he's not one that many are raving about we have been told that this kid is a very special fighter. As well as the Bantamweight action this card will also feature two domestically ranked fighters. One of those is Satoshi Niwa (16-18-3, 2) who looks to remain relevant as he battles Ryo Kosaka (8-3-1, 4) in a really interesting match up. Despite his record Niwa is a very capable fighter who has upset a number of good fighters in his career, as for Kosaka he'll know that a win here will get him a ranking. The other ranked fighter is Super Flyweight Takayuki Okumoto (13-6-2, 6) who battle Yuta Saito (7-5-2, 6) in what looks to be a relatively safe match up, though Saito can punch. The remaining Japanese card in Osaka is another really interesting one, though it doesn't feature any title action. The main event here sees Middleweight hopeful Koki Tyson Maebara (7-1-1, 7) battle former Japanese Middleweight champion Sanosuke Sasaki (11-3, 5) in a big step up bout for the emerging Maebara. The once beaten youngster has looked like an imposing figure in the ring and should manage to beat Sasaki, though Sasaki has only been stopped once in his career, and that took monster puncher Tomohiro Ebisu 6 rounds to do. In the chief support bout fans will see heavy handed Lightweight contender Masao Nakamura (18-3, 18) battle against Thailand's Patomsak Sithsaithong (2-0) in what looks to be a “light touch” fight for Nakamura. The Japanese fighter has been beaten in his last 2 bouts and needs a win so we won't complain too much about this “gimme”, though if he does get upset that's probably going to be the end for the former OPBF Super Featherweight champion. A third notable bout will see Cyborg Nawatedani (8-2-2, 3) take on Hiroki Taniguchi (6-5-1, 2) with Nawatedani risking his Japanese Flyweight ranking. This should be an easy win for the ranked fighter, who has won his last 5, but we don't really know how good he's going to end up being. One more fight worth noting comes at Bantamweight where Hikaru Matsuoka (8-1-3, 1) risks his OPBF ranking against Yuki Strong Kobayashi (8-4, 4). If Matsuoka gets through this with out any problems the plan is to have him headline a show in June, though if he's over looking Kobayashi it may end up biting him here. Another notable part of this show is that the promoters will begin a ring card girl competition at the event. The sole Japanese card from outside of Osaka is a small one in Fukuoka that really only has one bout of note on it. That bout is a rematch between Japanese and OPBF ranked Bantamweight Yoshihiko Matsuo (17-5-6, 3) and Tatsuya Miyamoto (11-12-1, 7) who fought to a draw last July. Their first bout was a very competitive 6 rounder that seemed to show that Matsuo's record was padded. This time around the two men will be trading blows over the 8 round distance and we're expecting those two additional rounds will help us find a winner. It's not just in Japan where fans will get action as Filipino fans also get a small but notable card. The main event here see the unbeaten Jayar Inson (7-0, 4) in a decent looking match up against Elmer Legaria (13-8, 4). We won't say this is a sensational bout but it is a step up in class for the unbeaten “Hitman”. Unfortunate Legaria has becoming a bit of a body donor recent bouts and has lost his last 6 contests, including 5 successive stoppage losses. We could see Inson having questions asked of him or we could see Legaria looking like a horribly shot fighter. December 6th-Katao Vs Arakawa III, Shibata Vs Fuchigami II and a hell of a lot more! The month of December may have taken a few days to get going but when it begins to kick off, it really begins to kick off and today we have a genuinely exciting card with several very good looking bouts. The first action of the day is in Tokyo where we get one of the best domestic cards of the year. In fact it's almost like an early Christmas present with 3 really interesting match ups. The main event of the trio is a 10 round non-title bout between the teak tough Nihito Arakawa (25-4-1, 16) and Japanese Lightweight champion Yoshitaka Kato (28-5-1, 9). This is the third meeting between the two and will act as a rubber with each man holding a narrow win over the other. The bout has been made slightly above the Lightweight limit though that shouldn't take the shine off what is likely to be a violent, exciting and thrilling tear up between two very well matched fighters. We're really excited about this one and wouldn't be shocked if it ended up being a FOTY contender, it really could be that good. As well as the non-title bout fans will also have two title bouts to look forward to. The most notable of those is also a rematch as the unified Japanese and OPBF Middleweight champion Akio Shibata (23-8-1, 9) looks to defend his unified for the second time. Shibata will be battling against former world title challenger Makoto Fuchigami (21-9, 12), a man best known for being stopped by Gennady Golovkin, and it's fair to say there is more to this bout than just the titles. This will be the second meeting between the two and in the first Shibata took a clear technical decision over Fuchigami who knows that his career will need a win here given that his recent form has been forgettable to say the least with just 2 wins in his last 5 bouts. This bout has titles, bragging rights and possibly even careers on the line, the stakes really couldn't be any higher. The third bout is the remaining title bout as former OPBF Super Bantamweight champion Yukinori Oguni (13-1, 4) battles against Yasutaka Ishimoto (24-7, 7) in a bout for the vacant Japanese Super Bantamweight title. The belt was given up by Hidenori Otake ahead of Otake's world title bout with Scott Quigg and has left us with a potentially brilliant bout between two light hitting but technically proficient fighters. Neither of these guys is likely to ever become a genuine world champion though we suspect the winner could end up progressing to OPBF title fights and may get a world title shot somewhere down the line. As well as the main trio the card will feature 4 under card contests, with the most interesting of those being a bout between the Japanese and OPBF ranked Kazuya Maruki (17-2, 11) and Quaye Peter (5-5-2, 3). This is a stay busy fight for Maruki who is on a 6 fight winning streak following his 8th round TKO loss to the monstrously hard hitting Keita Obara back in 2012. If Maruki can continue stringing together wins the odds are he will find himself getting a title fight of some sort at some point in 2015 or 2016. In Thailand there's another bout worth looking forward to as the unbeaten Kongthara KKP (5-0, 5) steps up in class and attempts to defend his WBC Asian Boxing Council Super Bantamweight title against experienced Indonesian Nouldy Manakane (27-15-1, 17). Kongthara blasted on to our radar back in May when he stopped Shingo Kawamura on his debut and now looks to add the scalp of a former world title challenger to his ledger. It should be a mismatch in favour of Kongthara but this is a good test for the promising Thai. In Mexico fans in for a treat as WBC female Flyweight champion Shindo Go (14-2, 9) takes on highly regarded Mexican fighter Arely Mucino (20-2-2, 10) in a bout with a lot of promise. The contest has been a drawn out one outside of the ring with several issues getting in the way and we just hope those issues won't destroy what should be one of the best female bouts of the year. Staying in Mexico fans will also get the chance to see the unbeaten Joebert Alvarez (14-0-1, 6) in the toughest bout of his career as he goes up against unified Flyweight champion Juan Francisco Estrada (30-2, 22). Estrada appears to be testing the water at 115lbs here and some have speculated that Estrada is set to vacate his Flyweight titles. We'll admit we'd love to see Estrada fight Roman Gonzalez in a much anticipated rematch however a bout between Estrada and Naoya Inoue would be equally as interesting and could be a bout made between two of the sports really young outstanding youngsters. This week ends with plenty of action in Asia as Japan has two separate shows whilst the Philippines also get in on the act. The main event is a WBC female Flyweight title bout between the very talented defending champion Shindo Go (13-2, 8) and Thai opponent Kledpetch Lookmuangkan (6-2, 1). Kledpetch comes in to this bout on the back of an excellent victory over Kanittha Kokietgym though, the Kanittha win aside, she is totally unproven at this level whilst Go is a very talented and proven fighter who we think probably sees off Kledpetch inside the distance. Go isn't the only proven world class fighter on this show as former WBA female Minimumweight champion Etsuko Tada (12-1-2, 2) fights a Thai opponent, albeit one we don't know the name of, as she attempts to rebuild following her upset loss to Anabel Ortiz last July. 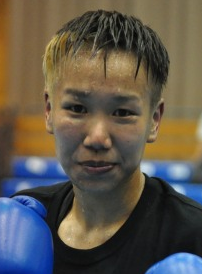 A third fighter of note on this show is Shingo Kawamura (9-1, 4) who looks to score her 10th successive victory. As with Tada, Kawamura will be facing a Thai opponent though unfortunately we've not got a name for either of the opponent. The other Japanese show is significantly smaller and the main event here sees Masami Moriizumi (5-3-1, 4) in action. Sadly we're unsure on who Moriizumi will be fighting be we do know that he'll be hoping to end a 3 fight losing streak. This card, in total, features 7 bouts with 3 of them being scheduled for 6 rounds whilst the other 4 contests are all scheduled for 4 rounds. As well as the two shows in Japan we also get one in the Philippines. This show is headlined by a pair of domestic title fights which are both competitive bouts than they look on paper. One of those title contests will see Rowel Rosia (7-2, 4) battle against the experienced Albert Alcoy (14-18-7, 4) in a bout that will be tougher than it looks. Rosia and Alcoy will be gunning for the Philippines Boxing Federation (PBF) Flyweight title. Alcoy isn't great but he is better than his record and did nearly win a domestic Super Flyweight title in his most recent bout. The other title fight will see the unbeaten Renerio Arizala (10-0-1, 4) battling against JC Francisco (6-7-2, 2) for the Philippines Luzon Professional Boxing Association (LuzProBA) Light Flyweight title. Although Arizala is unbeaten this looks likely to be the toughest test of his career so far and he is very much an untested fighter. Francisco has picked up losses through his career though has gone 6-1-2 in his last 9 bouts and is very much a fighter with a misleading record. This could be much, much better than it looks on paper.